Yamamoto-tei is a Japanese house in which Western elements and techniques are incorporated. It was built mid 1920s and has been heavily renovated between 1926 and 1930. It was the former residence of Einosuke Yamamoto, a Japanese industrial who established a nearby camera components manufacturing plant. 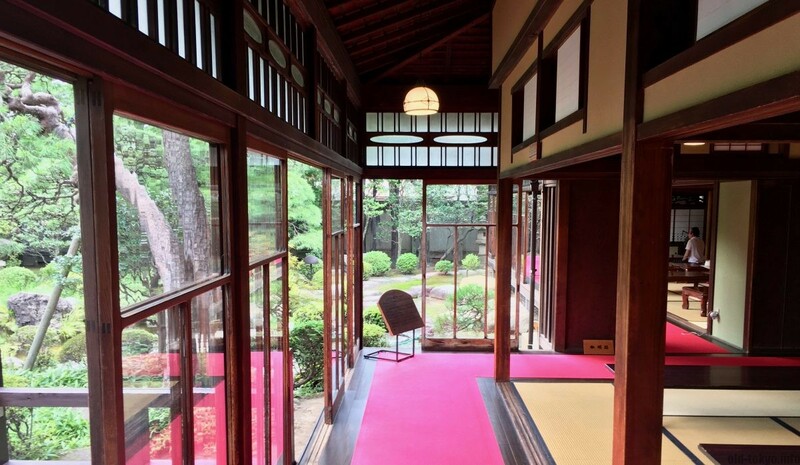 The house is an excellent example of sukiya-style residential architecture. 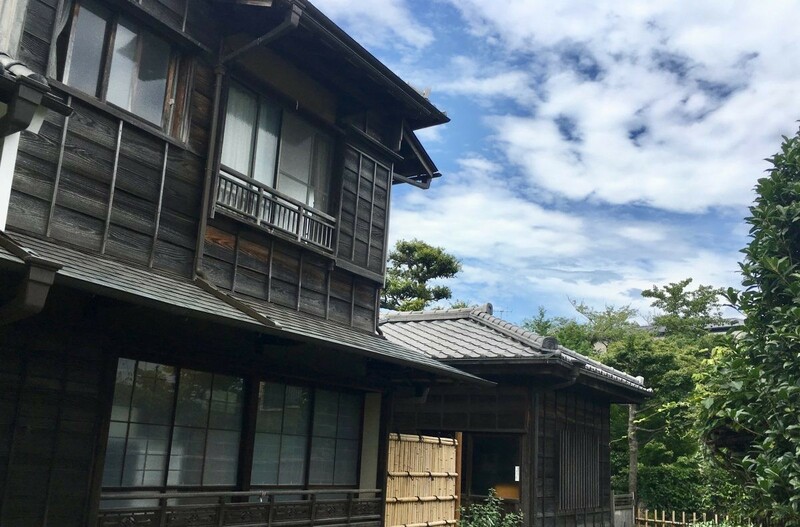 It is a wooden two-storey building with attached tea house. 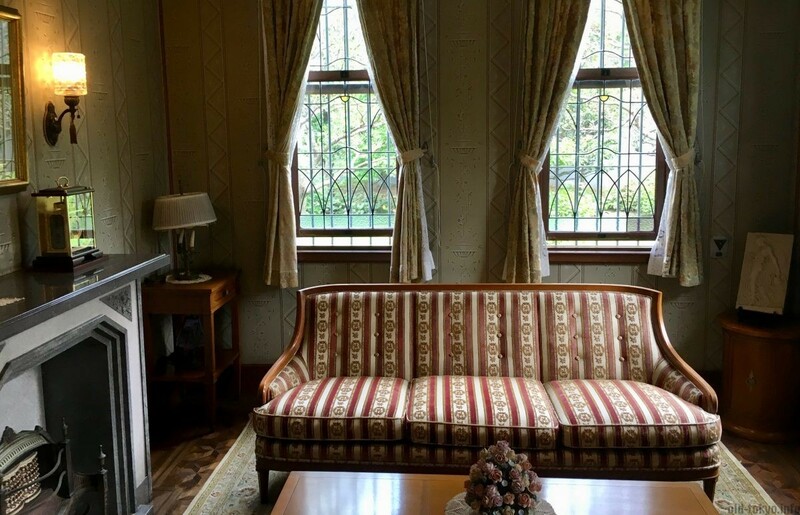 One of the rooms, the drawing room, is designed in the Taisho-Roman style. Corridors encircle the entire house and stress the garden. You will notice that the garden is an essential part of the house. 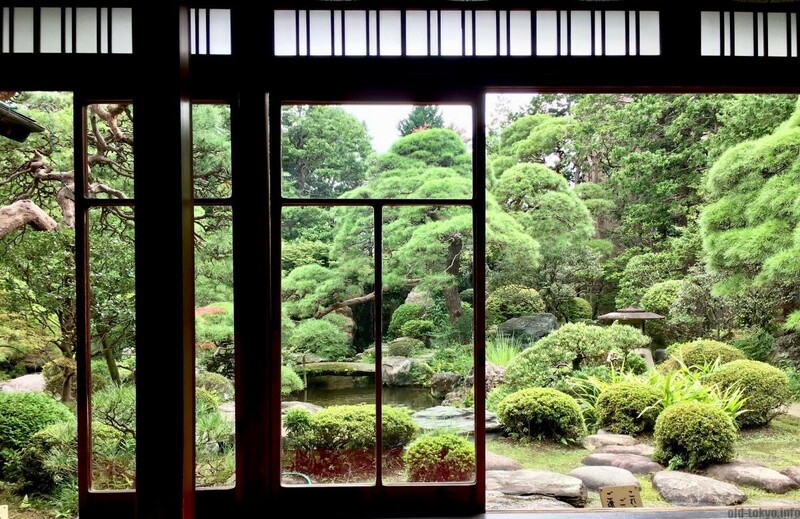 The best room to view this garden is from the hana-no-ma room, standing in front of the alcove. The hana-no-ma room is the one completely on the right behind the reception, it is the largest room in the house (10 tatami mats). Garden as seen from the house. 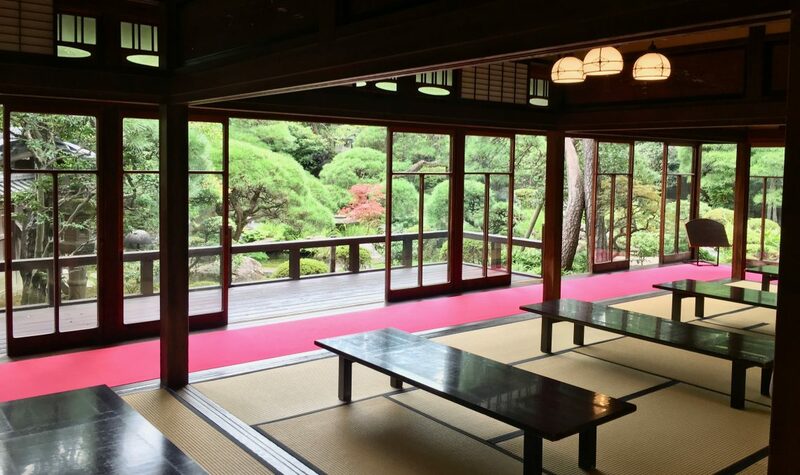 Yamamoto-tei was ranked third in the Shiosai Project, which aims to identify and generate attention for Japan’s finest sukiya (traditional tea house-style) spaces that are significant for their peaceful atmosphere and unique beauty. Almost 1000 gardens were ranked, so it is quite a feat to come in as third. Number one and two were respectively the Adachi Museum of Art in Shimane and the Katsura Rikyu in Kyoto. Tokyo had only 2 listings in the top 10, with the second listing at number 10 (Gyokudo museum, pretty far from central Tokyo). Inside of the house you can relax and have some tea. They are serving matcha with a wagashi (Japanese sweet), or you can have some coffee in a beautiful Taisho-Roman style cup. Having some tea is a good idea, but even better is to rent one of its rooms for a morning (9:00-12:30), afternoon (13:00-16:30), or a whole day (9:00-16:30). You will need to make a reservation at least 3 days in advance. This service is not available on weekends. Prices vary from JPY 700 for half a day, to JPY 7800 for the tea-house for a full day (prices summer 2017). Reservation is done by phone (03-3657-8577, only in Japanese!) or in person. Why would you want to stay in one of the rooms for a longer time? It’s all about how the garden was designed. The garden is designed to be observed from inside the house, not for taking a stroll. 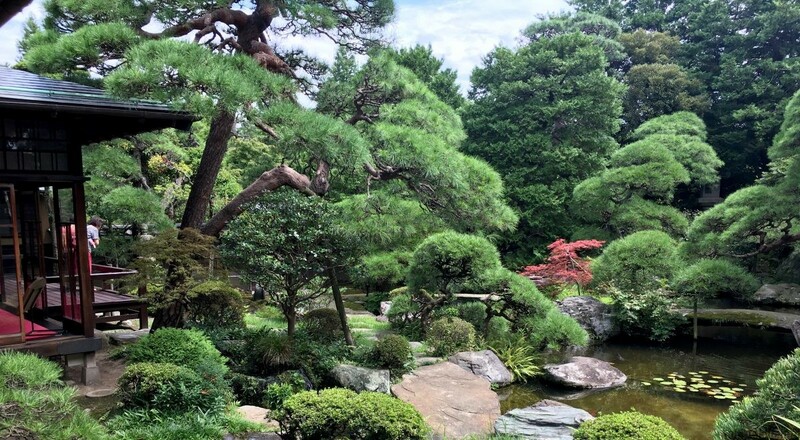 I cannot stress enough that winding down, taking in the scenery, sipping some green tea, and watching in awe to the garden is the main purpose of Yamamoto-tei. A detailed brochure is available in English. A view from outside (from the back). In December closed on the third Tuesday, Wednesday and Thursday.